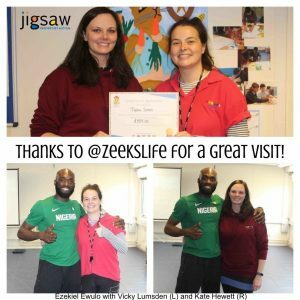 Jigsaw was visited by medal-winning, international long jumper Ezekiel Ewulo recently thanks to the Sports For Champions UK initiative. Horsham Lions Make a Big Splash for Jigsaw! Jigsaw Pupils Have World Book Day Fun!